Hector is fluent in Spanish and was the Spanish Color Commentator for Impact Wrestling for eight years. He also did English to Spanish Translations and English to Spanish Voice Overs. Hector conducted interviews with Impact Wrestling talent translating their English interviews to Spanish for Impact Wrestlings Spanish website. 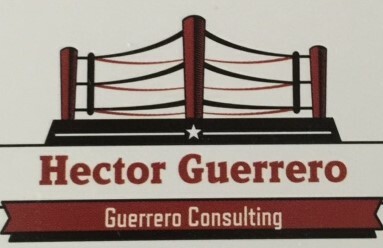 Hector can help your business grow with the untapped Hispanic Market. He can translate your company information from English to Spanish and even help you reach that hard to reach market. Copyright 2010 Official Site of Hector Guererro. All items including photos, tee shirt designs etc are property of Hector and are not to be copied or reproducted. All rights reserved.